We cover topics like sales, business leadership, technology, and growth. We have helped over 50,000 readers with different issues such as how to write better emails, improve your sales management, navigate your career, and many more. Whenever you are ready, make sure to sign up for the Autoklose Blog, Webinars, or Books & Guides, and start making better, more informed decisions. Ingenious guide on how to be at peak performance in sales, career, and life. 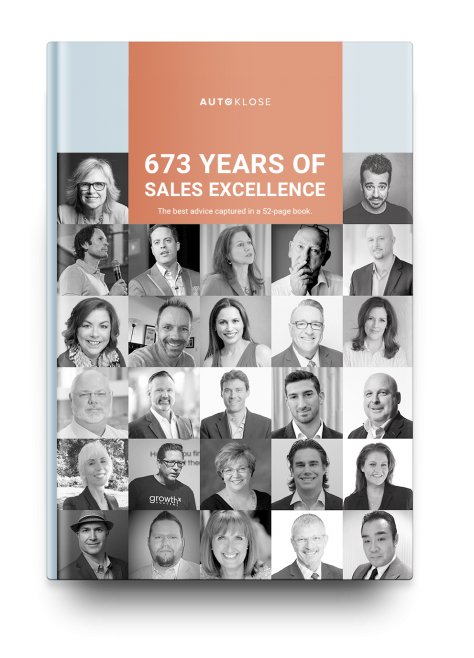 Written by 27 exceptional entrepreneurs and sales leaders.